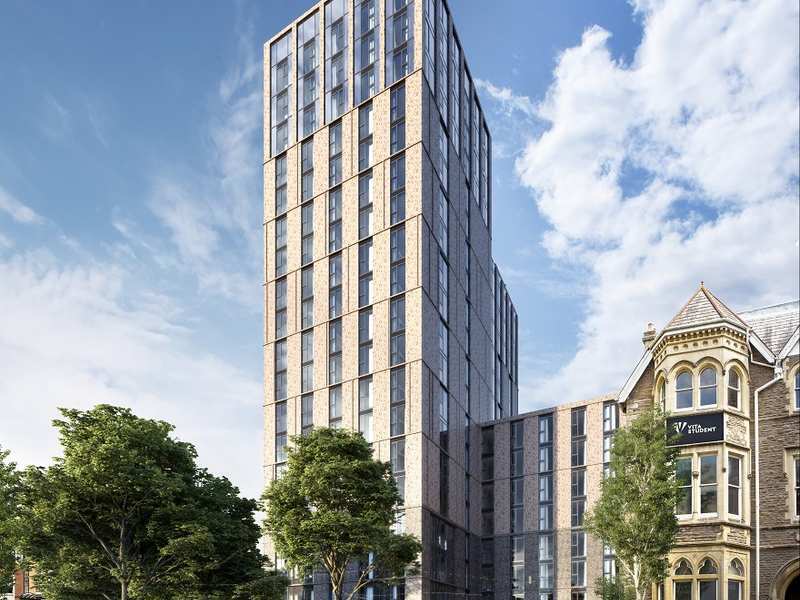 With in excess of 42,000 full time students and only 8,300 purpose built beds, student property in Cardiff represents an excellent opportunity for investors. Cardiff is the largest and capital city of Wales, situated on the country’s southern coast. Traditionally the city achieved fame and fortune through being a port and shipping hub for Wales, exploiting its position on the Bristol Channel. The famous Cardiff docks were designed and built by John Crichton-Stuart, deemed “the creator of modern Cardiff” – an act which transformed Cardiff from a town into a bustling and wealthy city. Cardiff has been influential in many British decisions throughout the years, particularly through its Coal Exchanges which determined the standard price for British coal and also was the seat of the first million-pound deal for the fossil fuel. The renovation of Cardiff Bay countered the economic troubles of the 1980s and modern day Cardiff is a cosmopolitan city with a powerful economic influence throughout Wales and wider Britain. Cardiff sits on the coast of the Bristol Channel, in the south of Wales between Newport and Barry. The city’s natural bay was influential in the establishment of the city and its trade – it continues to see some shipping traffic but has also been redeveloped into a tourist attraction. Cardiff’s proximity to Bristol has been an important cog for many years - with the two cities separating by almost 100 miles of land travel, 50 miles of travel using the Severn Bridge but less than 20 miles from coast to coast across the Bristol Channel. Cardiff can be reached in around 2 hours from London and Birmingham, with the M50 and M4 motorway networks connecting the city to wider British destinations. Cardiff Airport is responsible for more than a million passengers every year, though the city relies on the larger Bristol Airport which is six times larger and only an hour’s drive away. A recent report from Savills stated that there are now just over 42,000 full time students studying in Cardiff, the vast majority of whom attend either the University of Cardiff or Cardiff Metropolitan University. With only 8,300 purpose built student beds in the city, there is understandably a significant demand for student property in Cardiff and the surrounding areas, which has resulted in an increase of student rental fees of between 3-4% throughout the city last year. Cardiff is famous for being one of Europe’s youngest capital cities, but also maintains an historic culture throughout the contemporary streets. The city has a very distinctive old town and new town, not unlike the Scottish capital of Edinburgh, with Cardiff castle right in the centre of the city. Cardiff is also home to outstanding modern architecture including the National Assembly of Wales and the Millennium Stadium. 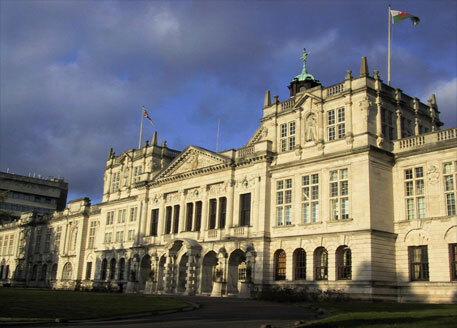 Cardiff University started its life in 1883 as was known as the University College of South Wales and Monmouthshire and is situated in Wales in the UK. The university is divided into three sections; Medicine, Biomedical & Life Sciences, Physical Sciences & Engineering and Arts, Humanities & Social Sciences and is the second oldest university in Wales. The university has over 25,000 students and approx 20,000 of them are undergraduate thus making it one the largest universities in Wales. 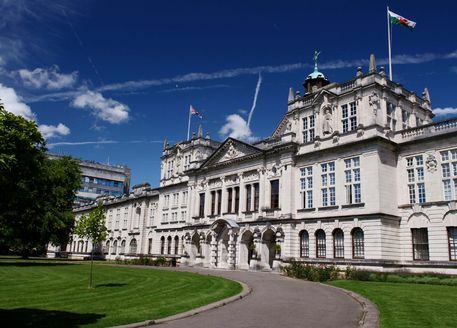 Famous people to have come through Cardiff University include; Roy Jenkins – President of the European Commission, Martin Evans – Nobel laureate and Jordan Faisal al-Fayes – Prime Minister of Jordan. Cardiff University has a centre for ‘Lifelong Learning’ that has been teaching for more than 120 years, when in 2009 it was announced that this course was ending and being replaced by over 200 humanities courses. In 2010 Cardiff University opened three new Research Institutes which include the Cancer Stem Cell Research Institute, Neurosciences & Mental Health Research Institute and Sustainable Places Research Institute. Cardiff University has five campuses all situated around central Cardiff. The university’s main building housing administration and science library is based at Cathays Park. The Welsh School of Architecture & the Cardiff School of Journalism, Media and Cultural Studies are in the Bute Building. The Cardiff School of Planning, Geography & Social Sciences are in the Glamorgan Building. The School of Pharmacy & Pharmaceutical Sciences is in the Redwood Building. The Cardiff Law School & the Biosciences – which provide both biosciences & medical teaching, are in the Law Building. The students completing their degree at Cardiff University approximately 80% will achieve a 2:1 or higher. The popularity of Cardiff University makes Cardiff an ideal opportunity for the property investor to invest in the city’s much needed student accommodation. The university is recognised for providing good quality research based education, is ranked 123 in the top universities around the world.